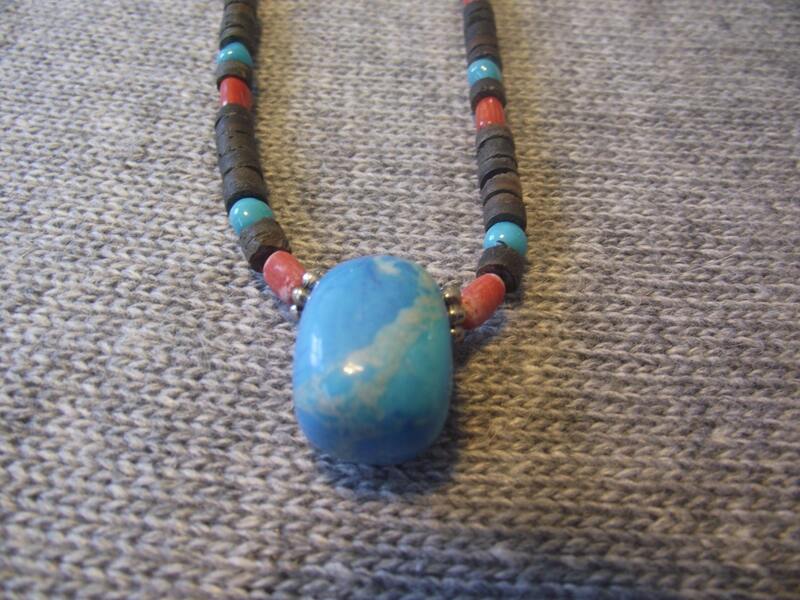 Turquoise and red Coral necklace. It is 18" long. Simple claw clasp. Shell beads around it. 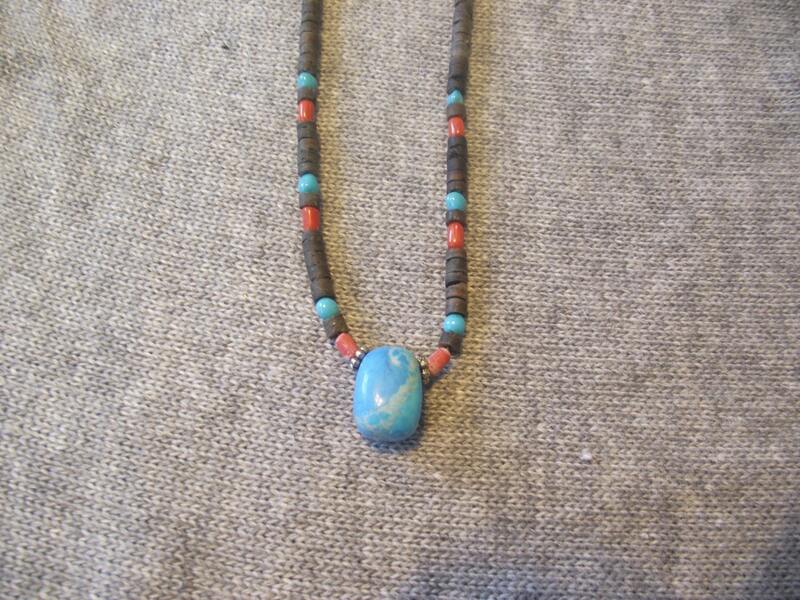 Simple but yet is a perfect piece to add a pop of color !